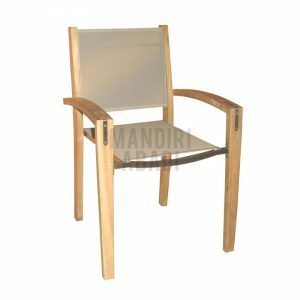 Villa Folding Chair Batyline made from teak wood Indonesia combined with Ferrari Batyline from France. 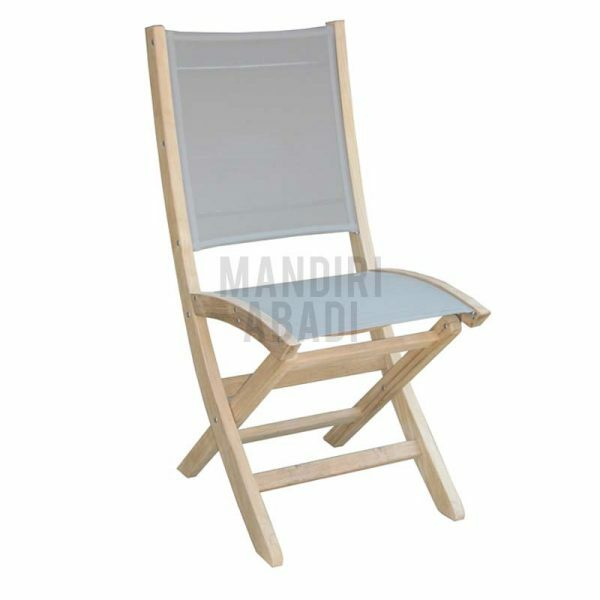 Batyline is available in various colors. 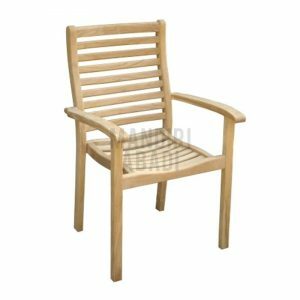 It is produced in machine made quality and provided in natural color teak wood for outdoor or garden use that makes this teak garden furniture product is very strong and has many years durability. 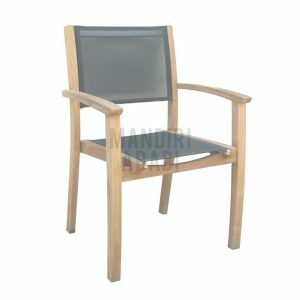 It can combine with a teak dining table, a teak extension table or a teak folding table as a complete set. 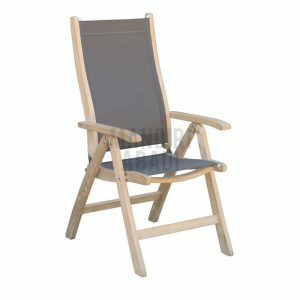 It also can safe your space when you need more room by folding it. 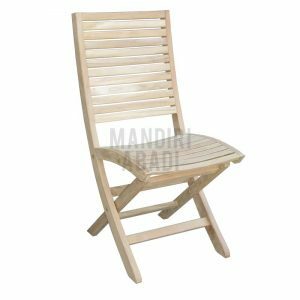 In places and seasons where eating outdoors is normal and enjoyable, extremely common to discover folding chairs in gardens, yards, deck areas, patios, pool yards and sun rooms. 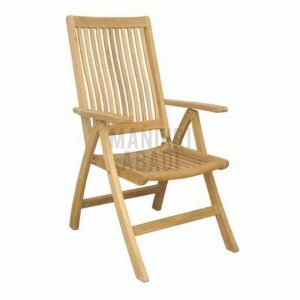 Teak is a good material with this particular application, since it will not be divided in the sun like plastics, it’s less susceptible to the elements like other forest, it’s lighter and cooler than iron, and will not easily bend or break like tubular metals and we combine it with batyline that makes this Villa Folding Chair Batyline such a beautiful and high quality outdoor furniture product.